Samsung Galaxy S8 and Galaxy S8 Plus will make its debut at the Galaxy Unpacked event on March 29 in New York. The Galaxy S8 has taken the crown of being the most rumored device lately, and the only thing left is a formal announcement. Ahead of the launch, we have come to know quite a lot of things, thanks to constant leaks. 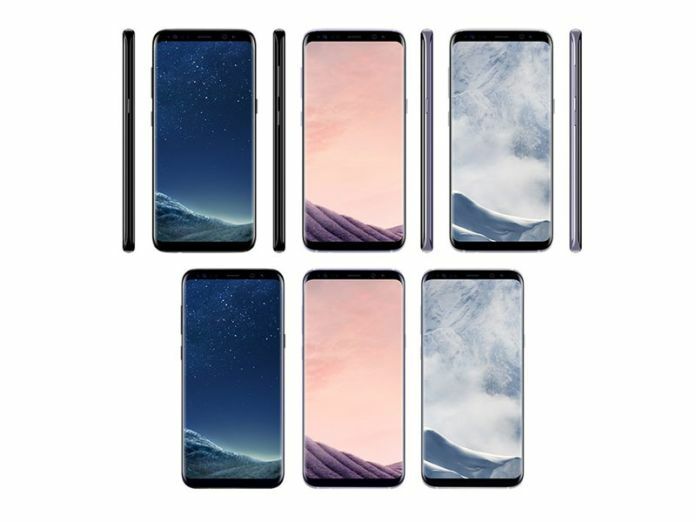 Coming to today’s news, alleged promotional materials of the Samsung Galaxy S8 and Galaxy S8 Plus. After leaking renders a day before, prolific tipster @evleaks has released more press shots, this time hinting at the colour variants and giving us a glimpse of the back of the device. Evan Blass, in a separate tweet, revealed the price of Samsung’s upcoming smartphones as well as other devices the company is planning to launch at the March 29 event. According to Blass, Samsung Galaxy S8 will cost €799 (Rs 64,000 approx), and Galaxy S8 Plus will be priced at €899 (Rs 72,000 approx). Samsung DeX, Gear VR and Gear 360 will be available at €150 (Rs 12,000 approx), €129 (Rs 10,000 approx) and €229 (Rs 18,000 approx) respectively. Another leak from SlashLeaks shows promo shots of the phone. These images confirm two size variants, a dedicated Bixby button on the left edge, speaker grille at the bottom edge, and an image with bokeh effect hinting on camera capabilities. Samsung Galaxy S8 and Galaxy S8 Plus is supposed to go through a radical design change compared to its predecessors. The Samsung Galaxy S8 and Galaxy S8 Plus will not have a home button. In terms of performance, both Galaxy S8 and Galaxy S8 Plus are expected to pack the latest Snapdragon 835 processor. Others rumours surrounding the upcoming Galaxy S8 series suggest the devices will adopt facial-recognition for mobile payment and feature cameras that will shoot videos at 1000fps. According to reports in Korean Media by The Investor, the Galaxy S8 will come with a 3,000 mAh battery, while the Galaxy S8 Plus will sport a 3,500 mAh battery. Samsung has already confirmed it will unveil its new voice-assistant powered by artificial intelligence – codenamed Bixby – with its flagship smartphone.